One of the most famous Developer Chainfire Releases Root For Android 6.0 Marshmallow Without Modifying /system. With this new method, all the nexus users will get the OTA updates directly on the phone. Which was not possible before on the rooted phones. Currently, the root method is only available for the Nexus users (Nexus 5, 5X, 6, 6P, 9 and 7 2013). The method is very simple and all you have to flash a modified boot image, and then SuperSU 2.56 using TWRP recovery. This will work on only those Nexus phones which are running on the Android 6.0 Marshmallow. Here’s list of devices compatible with new root trick. 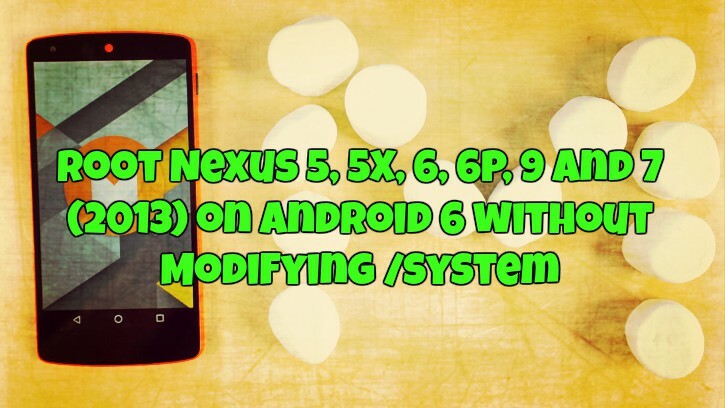 Below is the full guide to root Nexus 5, 5X, 6, 6P, 9 and 7 (2013) on Android 6 without Modifying /system. Read all the steps very carefully and follow all the steps one by one on your phone. Do take the full backup of your phone, read here how to take backup of android phones. Step 1. To get started Nexus 5, 5X, 6, 6P, 9 and 7 should be run on the Android 6.0 Marshammlow. Read here how to install Android 6 on Nexus. Step 3. To unlock bootloader, you have to Enable OEM Unlock and USB Debugging on your Nexus 5 (If you already unlock the bootloader of you phone and then go to the Step 7). Go to Settings > About device. Locate build no. and tap on it 7-8 times or until you get toast notification saying you’re now a developer’. Confirm bootloader unlock now on your Nexus phone screen Press Volume UP button to accept and confirm. This will delete all you data on the phone. 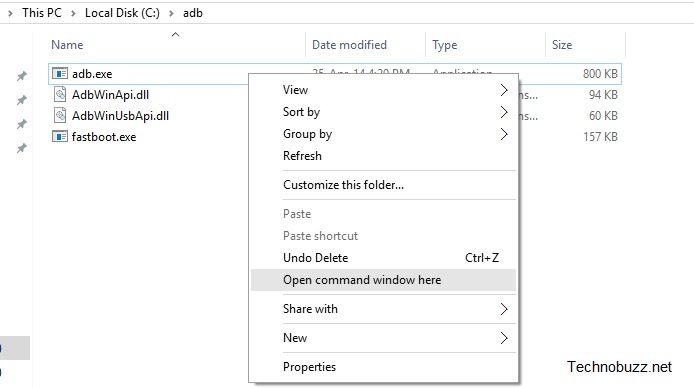 Extract the Zip folder and move the boot.img file in ADB folder that you created in Step 2. Rename the downloaded img file to recovery.img and move the recovery.img file in ADB folder that you created in Step 2. Step 8. Boot your device into bootloader mode. To do this Power off the device and press and hold Volume Down + Power button together until you see FASTBOOT written at the top. This is fastboot/bootloader mode. Step 17. To root the phone you have flash the Super Su zip file on your phone. The same file that you saved on your phone in Step 7. Step 19. Once you’ve installed SuperSU you’ll have the option to wipe cache/Dalvik and an option to reboot the system. Wipe the cache/Dalvik, hit the back button, and hit the reboot system button. That’s it. Now your Nexus 5, 5X, 6, 6P, 9 and 7 is rooted with TWRP recovery.